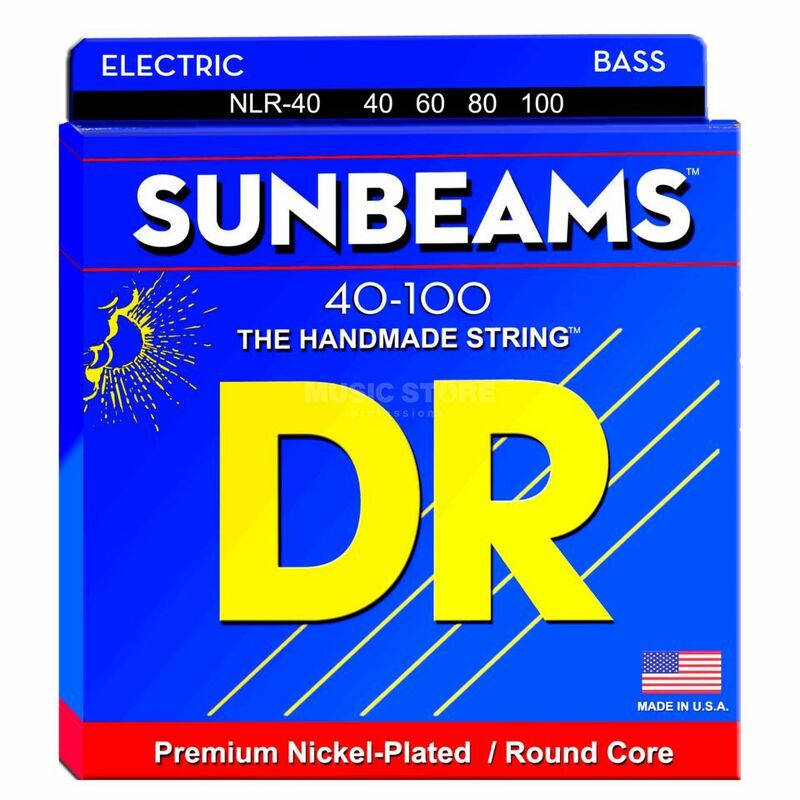 The DR E-Bass 4er Sun Beam 040 – 100 is a pack of high-quality 4-string electric bass guitar strings. Nickel plated on a round core, these durable strings offer a rich, punchy bass tone and long-string life, making them the obvious choice for touring bass players who demand longevity from their strings. Sunbeams are another step forward on a continuing path for players who constantly seek to upgrade their skills and tools to achieve musical satisfaction. Sunbeams are the next generation of nickel-plated bass strings as they are wound on round cores. Sunbeams are a step forward for the traditional player and the advanced exponent of fretless bass player, both of whom want brightness and warmth.